WD has announced that it is now shipping its 2TB 7200RPM desktop hard drives – with the WD Caviar Black drives pitched squarely at gamers and those with high performance desktop systems. The Caviar Black, which is arriving with the server-focused WD RE4, combines 7200 RPM spin speed with a 64MB cache, dual stage actuator technology, SATA 3 Gb/s interface, and an integrated dual processor. "WD Caviar Black 2 TB hard drives maximise the features and functionality of power computing applications such as gaming, photo editing, user generated multimedia and video," said Jim Morris, Senior Vice President and General Manager of WD's client storage systems. 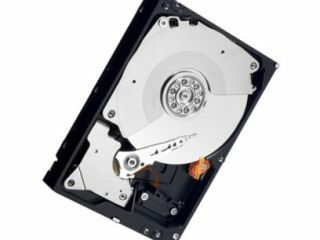 "With the selection of WD Caviar Black hard drives, WD desktop customers receive the best possible mix of capacity, performance and reliability that is required for intense desktop computing." The WD Caviar Black 2TB comes with a Manufacturer's Suggested Retail Price (MSRP) of £232.